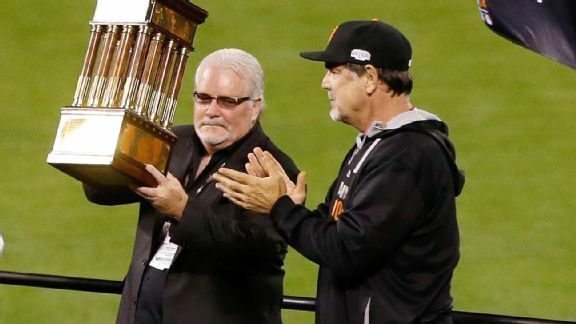 Extending Brian Sabean and Bruce Bochy for another five years means successful business as usual for the San Francisco Giants. Over the next month, we're going to present 30 deals in 30 days: the best trade deadline deal ever made by each team.THE TEAM: Tampa Bay RaysTHE YEAR: 2006THE SITUATION: It was July 2006, and the Rays -- actually, still the Devil Rays then -- were well on their way to another losing season, their ninth in a row with at least 90 losses (it would become 101 that year) since the birth of the franchise. The World Series champion San Francisco Giants are parting ways with Aubrey Huff, declining to exercise his $10 million club option Thursday after two disappointing seasons following a big year during the team's title run two years ago.